The Induction and orientation program for 2018-20 45th Batch of IMDR began at 10:30 am by welcoming the students and conducting the breaking the ice session. Students were divided in separate groups, and the group members interacted with each other and shared their profiles with others. 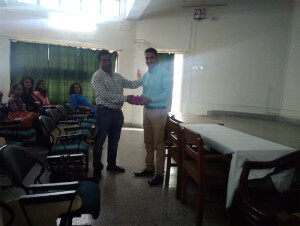 After tea and snacks break former director Dr. Deepak Roy addressed the students and shared his four years’ experience in IMDR and gave a piece of advice by quoting management stories and lessons. 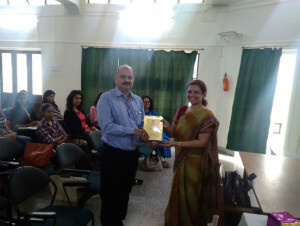 Dr. Roy then introduced the new Director of IMDR Dr. Mrs. Shikha Jain and invited her to address the students. Dr. Shikha gave a wonderful message to the students by quoting IMDR as Integrity, Methods, Dedication and Research. Then Shri. Mahesh Athawale, DES’s GB member and Chairman , LMC, IMDR addressed the gathering. He shared the DE society Vision and Mission and set his expectations from this batch. 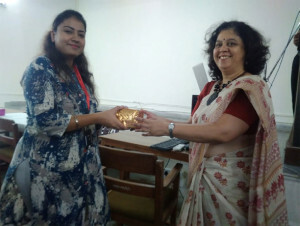 Ms. Shital Soni, IBM representative shared the current need of Analytics and introduced the three courses started at IMDR by DES-IBM initiative. Dr. Abhijit Shivane shared the Educational facilities and processes at IMDR, followed by him Ms. Prajakta Pradhan briefed the students about ESSCA and International tie-up of IBM. We also had Mr. Amit Bhagwat ( ESSCA Student) sharing his live experience of this opportunity and his stay at Budapest. 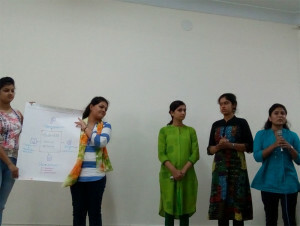 After the Lunch break, students were divided into various groups and were asked to prepare a chart, stating their expectations from PDGM course. 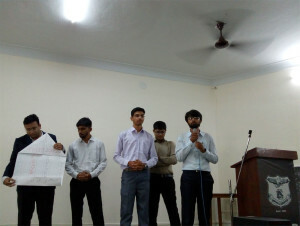 Students actively participated in this event and presented various expectations from the course. The day ended by distributing the curriculum documents to the students. The day started at 10:30 where Mr. Ashvinikumar Gulvani (CEO – Sparkonix (India) Pvt. 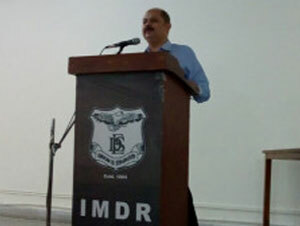 Ltd., Pune) an IMDR Alumni of Batch 1989-1891 shared his experience at IMDR during his course tenure. He also shared his 32 years of corporate journey and gave management mantras to the students. Followed by him, fresh alumnus Ms. Harpreet Kaur and Mr. Jitendra Mehta of Batch 2016-18 shared their fresh experience in IMDR and corporate. Dr. Giribala and Dr. Shivane shared the facts and figures about Summer Internship program, JPC, Last year placement and SPC. Followed to this the curriculum document was discussed with the students. Followed by lunch Dr. Suraj C. Kamble conducted a session on team building, where in he conducted various management activities and students actively participated and enjoyed the session.